Attic Truss Design - Real Rooms in a Real Attic! 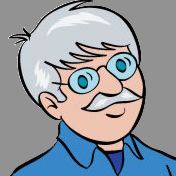 "You may not realize you can have rooms up in the wasted space of normal truss roofs. Attic trusses allow you to recapture all that dead space." Attic trusses are marvelous trusses that create rooms for a small amount of extra money. My daughter's new home has a giant space 18 feet wide by 43 feet long created by attic trusses. Can I CUT Trusses Safely? READ THIS ONE! How Big Can the Rooms Be? The rooms in the attic trusses depend on the length of the truss and the pitch, or steepness, of the roof. The longer the truss and the steeper the roof pitch the larger the room. Do You Need a Crane to Set Attic Trusses? Yes, you'll need a crane because a typical attic truss weighs well over 100 pounds. It's safer to use a crane for all involved. Are Attic Trusses More Expensive than a Normal Truss? Yes, at attic truss costs more than a normal truss. However, the added cost is well worth it as it increases the value of your home by thousands of dollars. Can a Low-Slope Roof have an Attic Truss? The answer is maybe. If the truss is long enough you might gain enough height to have a room. Most low-slope roofs can create a smaller rectangle in the truss that's used for storage. The space is not high enough to stand in but you can crawl around on your hands and knees to retrieve your stored items. Attic trusses are modified common trusses that have a large rectangle inside the truss. When the trusses are all set, you end up with a giant room in your home that otherwise would have been wasted space. They are a great idea! I wish we had them above our garage, but the builder greatly limited choices on a lot of things. Buyer beware: I have read that some municipalities will include the square footage of these spaces into the total for the house for (more) property taxes. Tax trap! A I've been fighting our tax assessor for over ten years regarding "actual market value". A couple of years after we moved in they arbitrarily raised our assessment by $50K for the 480 sq/ft!!!! Huge added expense each year at over 4% per thousand, adds $2K each year to our tax bill!! They claim that the finished attic space above my garage is valued at the same $95 sq/ft as my primary structure even though the attic space only cost $35 sq/ft to finish during the build. The attic space above garage is not comparable at all to the primary structure. Heating and cooling costs 30-50% more, sloped ceilings limits functionality - placement and size of furniture, shelving, wall hangings, etc. One major item I have been unable to locate about this attic truss design is, how do you insulate these? It appears that the top plate is either a 2x6 or 2x8, neither size would appear to provide enough space to insulate to R49 which is the recommendation for Maine. 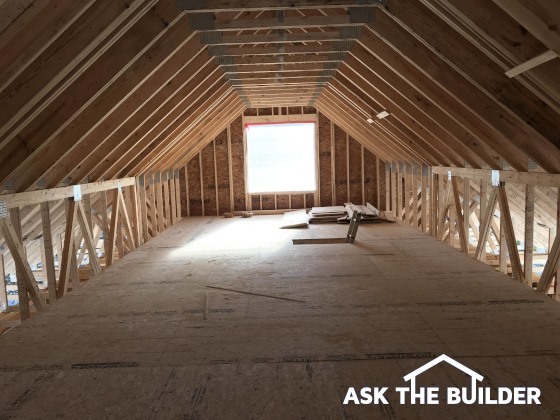 Why wouldn't you just extend the top chord of the trusses down into the room with additional lumber to accommodate the required insulation and 2-inch air space? What am I missing? Trusses are a firefighter's nightmare. The small metal plates that are holding them together will char the wood in a fire, then fall out leaving nothing holding the truss together. Then it falls down. Floor trusses, roof trusses, doesn't matter. There's no substitute, in a fire situation, for mass in the building material. Just my feeling, as a 40+ year firefighter. I would never build with floor trusses even if it meant more money and work. It's a valid opinion and it can't be debated. You're 100% correct that solid timbers are safer for firefighting. Firefighting is an interest of mine. Trusses are not going away and my feeling is that firefighters should stop risking their lives to mount an offensive approach to fires where they know trusses are in the structure. Adopt a defensive posture and let the insurance companies pay out a slightly higher claim. Insurance companies can punish homeowners and business owners who have them with higher premiums as they'll know the fire damage will be much more extensive should the firefighting community go with a defensive approach and just stay outside. I know it gets complicated if you feel that you have to enter a structure to try to find a person and bring them out.